My child's school hosts a yearly Pastor Appreciation Breakfast for all of the children's pastors. I was chosen to be a co-chair for the event and here are the printables I created. I used the school color of navy and the sentinel mascot on the items. 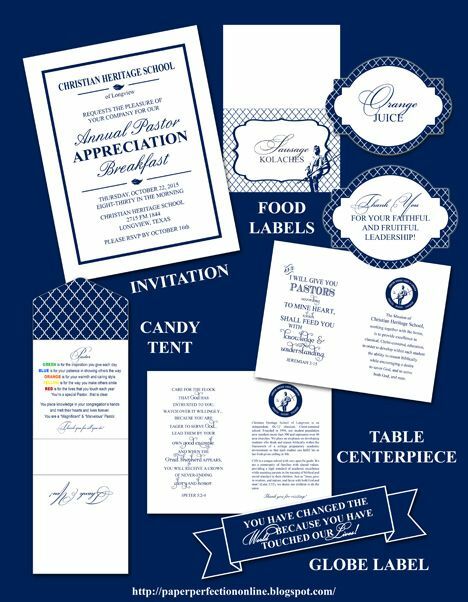 If you need printables designed for your next event contact Paper Perfection at jtanddolly@yahoo.com for pricing and details.